Various research studies have established that maintaining a healthy and balanced diet is one of the secrets to achieving radiant and younger looking skin. Good nutrition plays a significant role in promoting clear and healthy skin. The nutrients and minerals from a number of fruits and vegetables can erase the effects of chronic sun exposure and restore the skin’s youthful glow. Skin care professionals advise that the skin should be given the same care and attention as the other parts of the body. And this begins with the proper diet which is vital in the prevention of skin aging. Skin aging refers to the process where important molecules are either lost or damaged due to a number of reasons. The first type is intrinsic aging which is influenced by genetics or which correlates to the aging of other organs in the body. The second kind is called extrinsic aging which is caused by exposure to external factors such as sunlight, ultraviolet radiation, improper nutrition, and sleep deprivation. Premature aging is also caused by extrinsic factors such as chronic sun exposure, smoking, and exposure to harmful free radicals in the environment. The most visible signs of skin aging include wrinkles, pigmentation, sagging, thinness or atrophy, loss of tension, rough texture, uneven tone, and dull skin. While intrinsic skin aging cannot be avoided, it is not such a cause for worry because the signs usually won’t appear until a person reaches the age of 60. It also accounts for only about 10% of skin aging cases. The good news is, extrinsic skin aging can be prevented! And this begins with a proper diet. Several studies in nutrition have revealed there are a number of foods that can best prevent and reverse premature aging. By consuming meals that are rich in certain nutrients and minerals, the aging process can be forestalled. Tomatoes owe their rich red color to lycopene, a carotenoid that helps to maintain the skin’s smoothness. One study found that those individuals who consumed higher concentrations of lycopene had smoother skin compared to those who did not integrate this into their diet. Drinking tomato juice or consuming about 2 ½ tomato paste daily can also protect against skin reddening caused by sunburn. 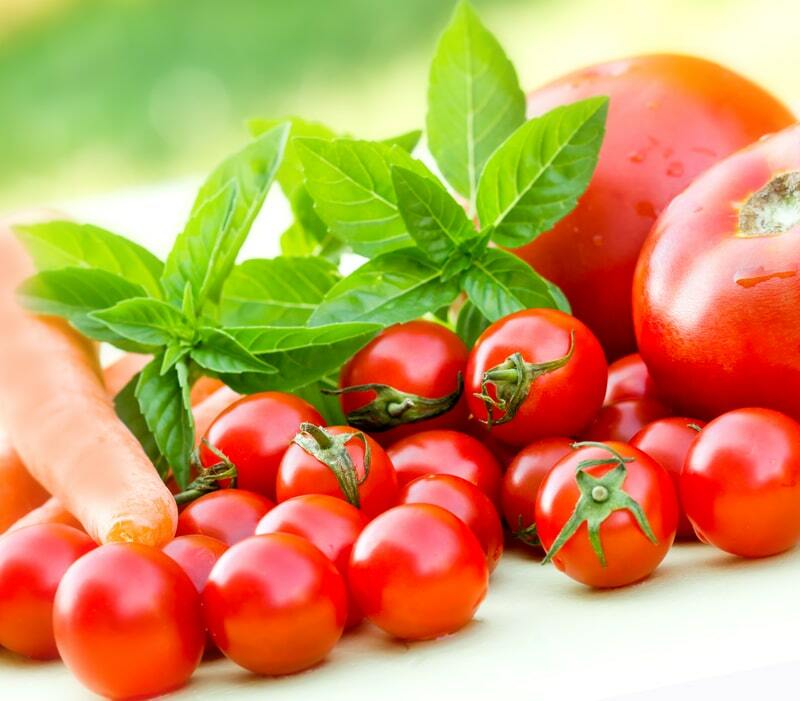 Making tomatoes a regular part of the diet can shield the skin against the effects of exposure to ultraviolet light. Tomatoes are also a rich source of Vitamin C which aids in the building of collagen. It has been observed that eating tomatoes regularly for about six weeks contributes to glowing and firmer looking skin. To get the most value from lycopene, it is important to choose natural tomatoes. Taking lycopene supplements does not deliver results. Furthermore, they contain other synthetic and processed compounds which may be harmful to the body. Strawberries are a rich source of vitamin C that helps fight the effects of free radicals. The vitamin is also responsible for assisting in collagen synthesis. Eating at least a cup of strawberries daily can prevent the development of wrinkles and skin dryness. Blueberries, raspberries, and cherries are also good fruit choices. They contain antioxidants that combat free radicals from pollution and ultraviolet rays. They also support cell regeneration to give the skin a young and fresh look. Eating even half a cup of these a day can prevent damage to the skin’s cell structures and hinder the formation of fine lines and wrinkles. These fruits are packed with Vitamin C and other antioxidants that preclude wrinkles and skin dryness. In one study, it was found that middle-aged women who regularly consumed fruits that are rich in Vitamin C were less likely to experience skin dryness and premature aging. The juice from the seeds has nutrients that include ellagic acid and punicalagin which boost collagen production to make the skin look smooth and plump. Eating a cup of pomegranate seeds every week contributes to softer and smoother skin. Aside from having loads of Vitamin C that boosts collagen production and preserves the skin’s suppleness, oranges also contain a lot of water. 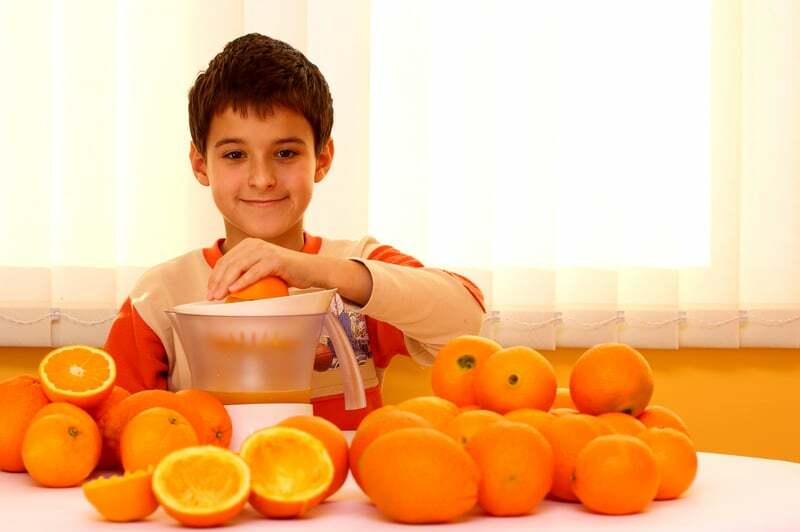 Oranges help to keep the skin hydrated to prevent or reduce skin dryness. Other citrus fruits such as sweet limes, lemon, and grapefruit provide the same benefits. Citrus fruits contain flavonoids and polyphenols that inhibit the formation of new cancers by blocking the action of carcinogens. Sweet potatoes are full of nutrients that are valuable to skin health. They are among those vegetables that have the highest concentrations of beta-carotene which convert to Vitamin A. In turn, Vitamin A prevents cell damage to the cells caused by free radicals. Vitamin A is so vital for healthy skin that its derivatives called “retinoids” are usually part of the ingredients of skin products. It is believed that sweet potatoes aid in the synthesis of hyaluronic acid (HA), a protein that preserves the skin’s suppleness and smoothness. Omega-3 fatty acids such as eicosapentaenoic acid (EPA) and docosahexaenoic acid (DHA) have shown to improve skin health. These amino acids can be found naturally in some fish such as tuna, salmon, sardines, and mackerel. Consuming about 3 ounces of fish weekly can help to sustain collagen production which is necessary to keep the skin firm and supple. Omega-3 fatty acids also aid in the prevention of skin cancer by diminishing inflammatory agents that encourage tumor growth. Nuts also have lots of omega-3s and healthy fats. They contain anti-inflammatory properties that can relieve some skin conditions such as acne, psoriasis, and eczema. Some nuts also have Vitamin E that is essential for glowing and smoother skin. Among the healthiest nuts are almonds, hazelnuts, macadamia, and pistachios. As with nuts and fish, avocados also provide a rich source of monounsaturated fats that help to keep the skin hydrated. The healthy fats also facilitate the absorption of other vitamins and nutrients that the skin needs to stay smooth and radiant. The best thing about avocados is that they contain large concentrations of glutathione which work to detoxify the body (and the skin) from the effects of pollution and other harmful elements. By cleansing the skin from toxins, glutathione prevents acne and wrinkles. These leafy green vegetables are packed with a special kind of phytonutrients that fight against the damages caused by sun exposure. Spinach in particular, also contains beta-carotene and lutein, nutrients that promote skin elasticity. It is also loaded with beta-carotene, Co-Q10, and Vitamin E which prevent the development of premature wrinkles. Kale, on the other hand, contains Vitamin K that stimulates healthy blood clotting. This forestalls the accumulation of dark shadows under the eyes. In addition, Vitamin K addresses the effects of iron deficiency which causes the skin to look pale. To get the most benefits from these greens, it is best to eat them raw. Eating at least three cups of a combination of these vegetables will promote a radiant and firmer looking skin. Shellfish such as lobster, crabs, shrimps, oyster, and clams are rich in a mineral called zinc. Zinc has anti-inflammatory properties that can relieve and treat skin conditions such as acne and rosacea. In fact, zinc supplements are recommended for patients with acne. The mineral also supports the renewal of skin cells and shields the skin from long-term damage caused by pollutants in the environment. Whole grains such as wheat, cereals, and oats are high in fiber and B-complex vitamins which neutralize the effects of anti-aging factors. Because they are complex carbohydrates, they have a low-glycemic index. This means that consuming whole grains does not spike up the blood sugar as compared to white rice, pasta, and refined bread. High-glycemic foods cause inflammation which can cause acne. Eggs are ideal sources of proteins such as lutein which is best for preventing wrinkles and fine lines. They are also rich in anti-wrinkle amino acids that include glycine, proline, and lycine. The amino acids work by stimulating the production of collagen and elastin to delay skin aging. Consuming eggs for breakfast is a good way to have firm, radiant, and hydrated skin. Yogurt is an excellent source of probiotics that have active bacteria that helps to condition the skin from the inside. Probiotics reduce inflammation which is useful in the management of skin problems such as acne, psoriasis, dermatitis, and rosacea. A good alternative to yogurt is kefir, a cultured milk product that is often sold in the dairy section of grocery stores. Kefir has more probiotics than yogurt and consuming this drink can give triple the benefits of probiotics. Green tea is loaded with antioxidants that support cell regeneration which retards skin aging and protects against sun damage. The antioxidant properties help to diminish hyper-pigmentation such as brown or dark spots. Green tea also protects structural fibers such as elastin and collagen which are vital in preserving the skin’s suppleness. Drinking at least one cup of green tea a day can deliver noticeable results in as little as one month. Contrary to perceptions about the ill-effects of caffeine, consuming coffee in moderation is actually a good practice. Drinking a single cup of brewed coffee daily can lower the risk of developing non-melanoma skin cancer. Consuming more than a cup a day can reduce the risk of melanoma. The trick to obtaining the benefits from the antioxidants contained in caffeine is to choose the natural, high-quality kind. Instant coffee often has added preservatives and sugars which age the skin faster. Decaffeinated coffee does not provide the same advantages. Water should not be overlooked. It is important to keep the body and the skin properly hydrated. Water is a powerful antioxidant that helps to cleanse the body from accumulated toxins and injurious compounds. Consuming a minimum of two liters of unadulterated water a day can promote clear and healthy skin. The underlying rule in preventing premature skin aging is to avoid foods that are high in calories and sugars. A healthy diet should focus more on produce such as fruits and vegetables as well as on good sources of proteins. Packaged and preserved foods should be avoided as much as possible because they contain chemicals and additives that are toxic to the body and which speed up the skin aging process. 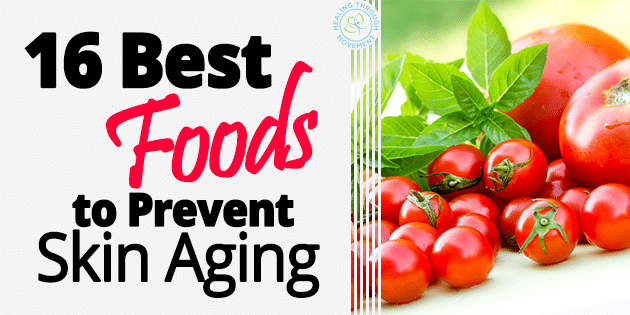 Anti-aging foods work in different ways – they protect the skin against damaging free radicals, promote cell renewal, support hydration, reduce inflammation and irritation, and prevent the formation of fine lines and wrinkles. Consuming a combination of these foods in ample amounts will enhance the effects of their various properties. Changing the diet totally to integrate these choices is sure to deliver better results than the myriad of expensive skin creams and products in the market. The effects can be noticed within as little as few months. So shift to a healthy, balanced diet now and realize the genuine beauty that comes from within. 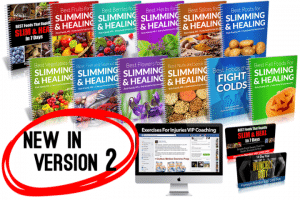 If you are looking for ways on how to feel better, look sexier and enjoy a healthier life, then check out the Best Foods That Rapidly Slim & Heal In 7 Days program.